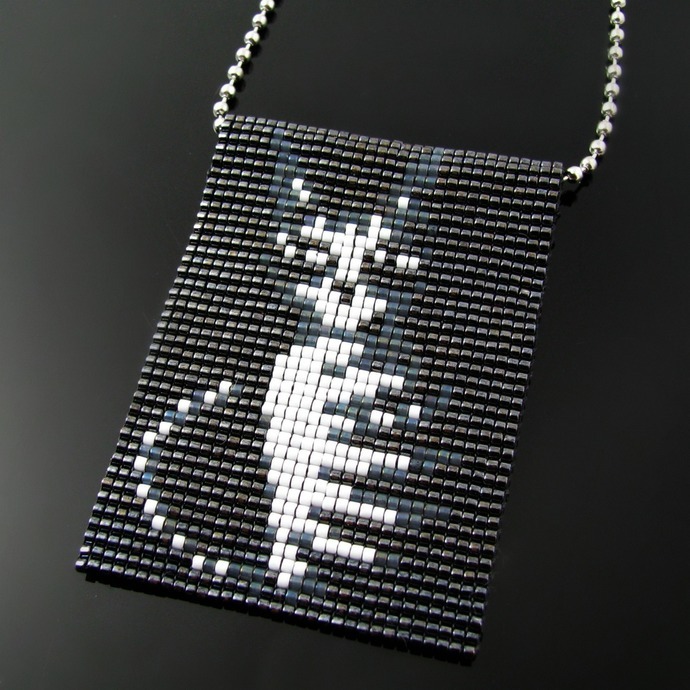 As a cat person you know that cats have excellent abilities of camouflage as you can see perfectly in these bead loomed pendants. A tabby cat is hiding in the shadows, just coming out into the light and looking mysterious the way cats do. 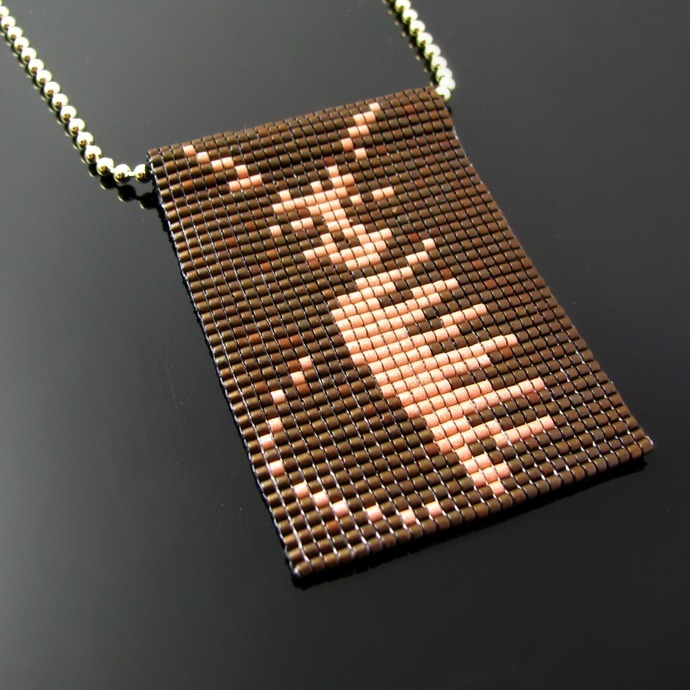 The HeatherCats to which the Shadycats belong are a collaboration of my friend Heather Russell, an artist from New Zealand, and me, Cat from Cat's Wire - hence the name HeatherCats. 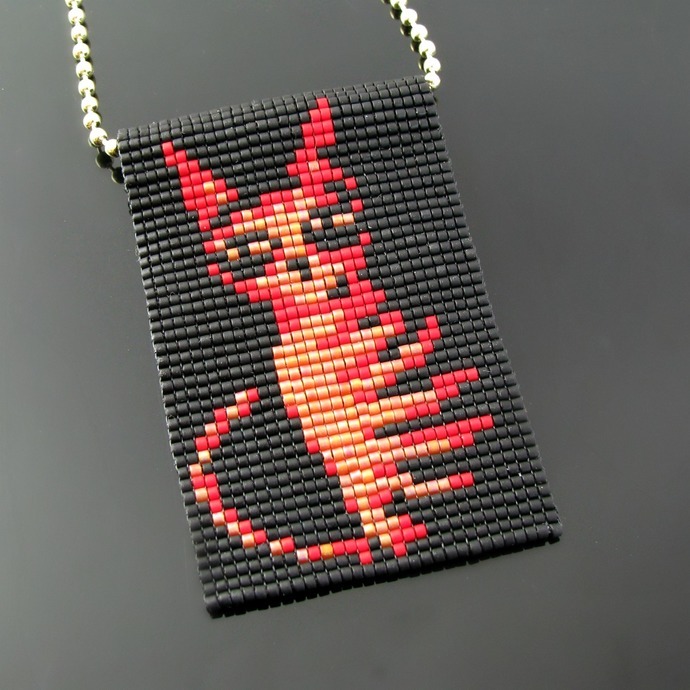 It's an exclusive series of jewelry designed and bead loomed after Heather's original cat paintings that are whimsical and often colorful. 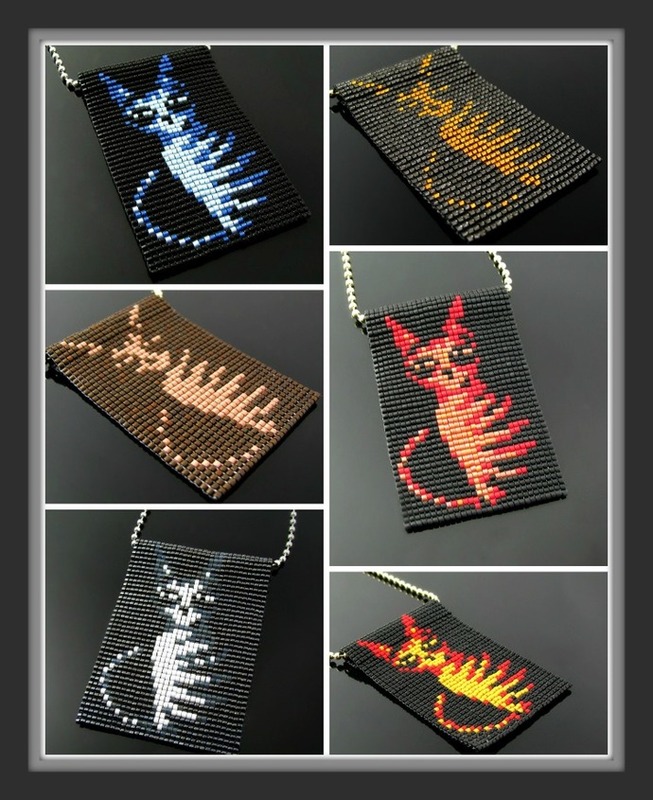 The Shadycats are loomed from gunmetal, opal grey and white Miyuki Delica beads and come on gold or silver tone ball chains of 60 cm or 23 1/2 inch length (which can be made shorter to the length you prefer). 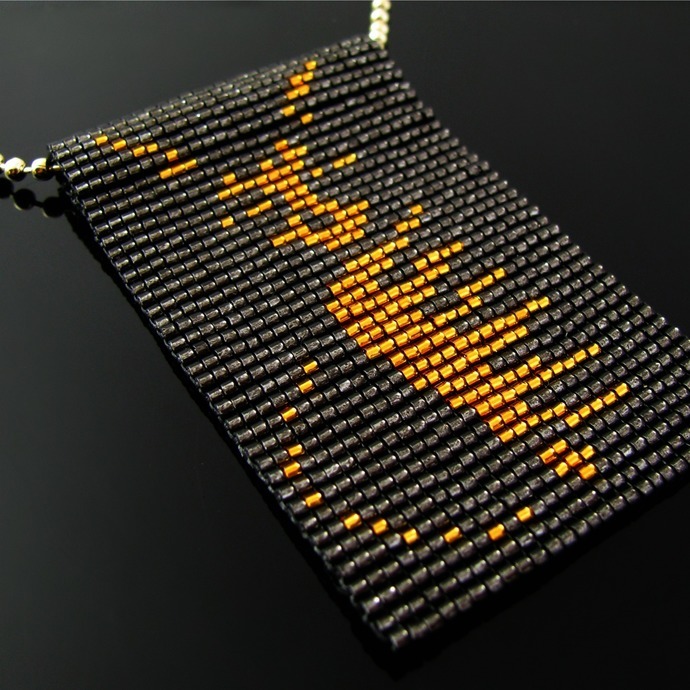 There is no bail, the end of the pendants have been sewn up to shape tubes through which the chains are pulled. The original Shadycat is featured in the last picture. 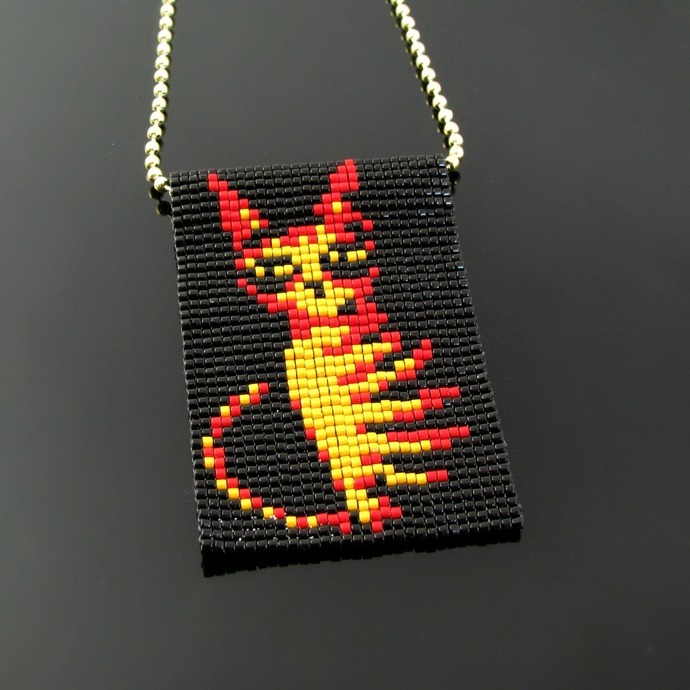 Due to the nature of bead looming the HeatherCats sometimes show little differences from the paintings, in this case the mouth. All changes are agreed on by Heather.